Welcome to Florida's Largest Corvette Dealership! Since 1965, the Nation's Premier Source for Quality New and Used Corvettes! History & Trivia, Resources, Testimonials, and much more. When in Orlando, stop by our showroom for a visit! "There is more to Orlando than theme parks . 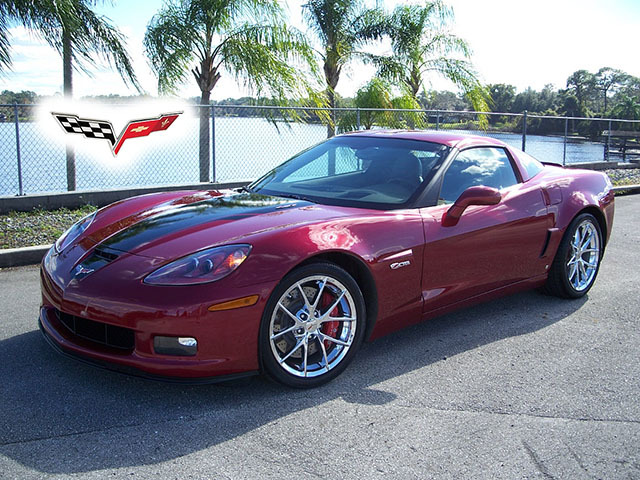 . .
2008 Crystal Red Limited Edition Z06 with only 2000 miles! Our hours are Monday - Friday, 9:00 AM to 6:00 PM and Saturdays, 9:00 AM to 4:00 PM. Go to the About Roger's page for directions and a map to our dealership. you see on our web site reflects our actual inventory. The following vehicles have recently been added to our inventory. Yes, we BUY quality Corvettes and accept most non-Corvette trades, too. Entire contents Copyright © Roger's Corvette Center and may not be used elsewhere without permission. Corvette, the Corvette and Chevrolet Emblems, et. al. are registered trademarks of General Motors Corporation.